After payment you will be redirected to the download link. You don't need any activation keys and no online activation is required,so you can start to use the software immediately. Within a few hours you will be sent (Paypal Email), the personal link for future update. * Low Split Frequency: 20Hz - 1.4k. * High Split Frequency: 1.4kHz - 20kHz. * Tree frequency-band gain from -12 to +24dB. * Pre-Amp gain -/+ 24dB. * Sidechain with Internal or external features and 2 input. * Attack time from 0 to 400mS. * Three stereo compressors inside. * Independent bypass and mute switch for each channel. * Three Vu-Meter LEDs,to measure Gain reduction. 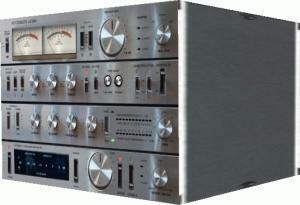 * Two virtual moving coil Vu-Meters, analog style for outcoming signal. * Limiter feature to 0dB with peack Led indicator. * Analog emulator features (saturators for preamp and amp) with peak led indicators. * RMS level numerical indicator. Synthblitz Audio has released Deep One, a new synthesizer VST instrument plug-in for Windows designed for Techno Music producers. 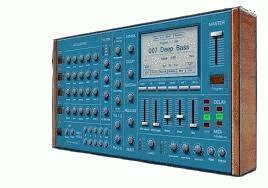 Deep One contains 1024 presets like techno music. ﻿Presets can be edited and saved in bank o single programs. Synthblitz Audio has released Nitroflex, a virtual synthesizer instrument geared towards house music and studio recording. 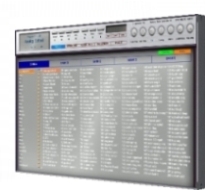 NITROFLEX VST contains 1200 presets like house music and Deep house. ﻿Presets can be edited and saved in bank o single programs. This synth is created with passion for electronic music.